Asia’s hit-list destinations are yours to uncover! A melting pot of culture and heritage awaits you in Kuala Lumpur, while Hong Kong offers a fascinating fusion of the East and the West. 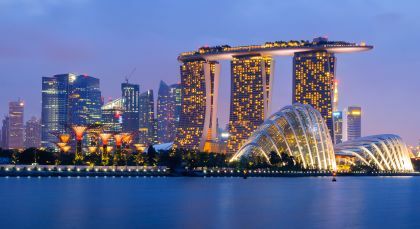 In Singapore, modern skyscrapers rub shoulders with heritage buildings and sprawling green spaces, while Bangkok offers a quintessential blend of the old and the new. Immerse yourself in the buzz and avant garde vibe of big city life the Far East, and savor some of the finest culinary experiences that private Asia tours have to offer! 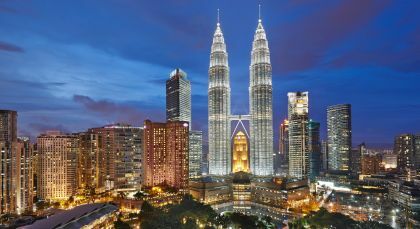 Kuala Lumpu, or KL, as it is better known among aficionados – is your gateway to Southeast Asia. The city made its debut on the world stage back in the late 19th century, when the British made it the capital of Peninsular Malaysia. Enjoy a fascinating evening followed by a dinner date amid the clouds at Kuala Lumpur’s revolving restaurant. Begin your evening at Chinatown’s Open Air Bazaar, where Chinese traditional herbal products and artifacts are sold. Afterwards, drive past the iconic Sultan Abdul Samad Building and the famed Petronas Twin Towers that tower over the cityscape. End your evening with a Dinner in the Sky experience! Relish delicious cuisine from a carefully curated menu – it is a one-of-a-kind experience with Kuala Lumpur’s breathtaking skyline for company. (Half Day Evening Tour, Private Activity & Private Transfer; Time of Day: Evening; Duration: 3.5 hrs; Meal included: Dinner; Fitness Level: Easy). Stop by a typical Batik cloth-making factory to understand the intricacies of producing this traditional Malaysian weave. You will also be visiting the Batu Caves in the limestone hills in the north of the city that lead to a holy Hindu shrine. If you wish, you can climb up the steps which lead to the magnificent shrine of Lord Murugah, a Hindu deity. Afterwards, drive past the glamorous Ambassadors Row to drop by The Royal Selangor Pewter Factory & Visitors Center where you can learn about the process of manufacturing high quality pewter ware. (Half Day, Private Activity & Private Transfer;Duration ;4 hrs Travel time to activity: 0.5 hrs; Fitness Level: Easy; Please bring trekking shoes). Singapore, a city state on the Malaysian peninsula, is a melting pot of cultures. Modern skyscrapers stand next to Indian temples, while shopping malls rub shoulders with Chinatown in Singapore. All aboard the Singapore Flyer! Discover bustling Bangkok at night! 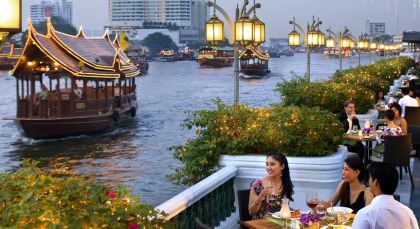 Begin your Bangkok tour with a ride to the heart of the city, and then take a short walk to the swanky Park Society Bar at the Sofitel So Bangkok hotel. Witness a beautiful sunset from the bar, while you sip on a delicious Mai Tai. After sunset, hop into a tuk tuk or taxi to get to the famous food street at Silom, where mouth-watering sights and smells await at local eateries. Afterwards, board the BTS skytrain to reach Chao Phraya River, where you can take a boat to get to ‘Asiatique’ – the most popular night market in town. Spend the rest of your evening shopping your heart out and shooting the breeze by the riverside. Bangkok, known as ‘Krung Thep’ in Thai, is Thailand’s cosmopolitan pulsating metropolis, shopping heaven, tourist treasure-trove, cultural delight and capital city. Explore the greener side of Bangkok with an engaging bicycle ride. Just outside the heart of Bangkok, Bang Ka Jao is a haven of greenery, and an insightful 2hr ride exhibits a different side of the capital city. Pedal your way via Bang Ka Jao, an area of waterways and tiny roads. Pass through local markets; see lush gardens; notice small temples and Thai houses; observe local communities living and working here. 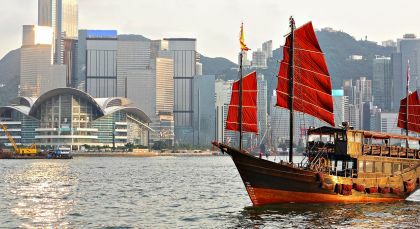 Hong Kong is a fascinating fusion of the East and the West, combining the mystery of the Orient with the avant-garde vibe of the West.